With the exhilarating top spec Tiger 800 XCA your adventure literally starts here with a bike that's now as great off road as it always was on. 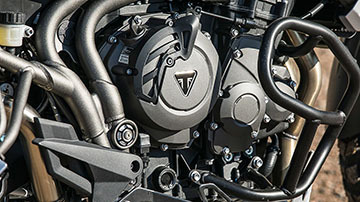 The supremely off-road focused Tiger 800 XCA is equipped with all-LED lighting, full colour TFT instruments, switchable traction control and ABS, six riding modes including new 'Off-Road Pro', and a new generation 95PS 800cc Triple engine with a lower ratio first gear for a seamless flow of torque lower-down and even better acceleration. Standard equipment includes heated rider and passenger seats, heated grips, LED fog lamps, and auxiliary sockets that can power everything you need; from heated clothing to GPS systems. This Tiger 800, packed full of Technology sets a new standard in off-road adventuring, while an improved riding position lets you make the most of the trademark Triumph agile handling. 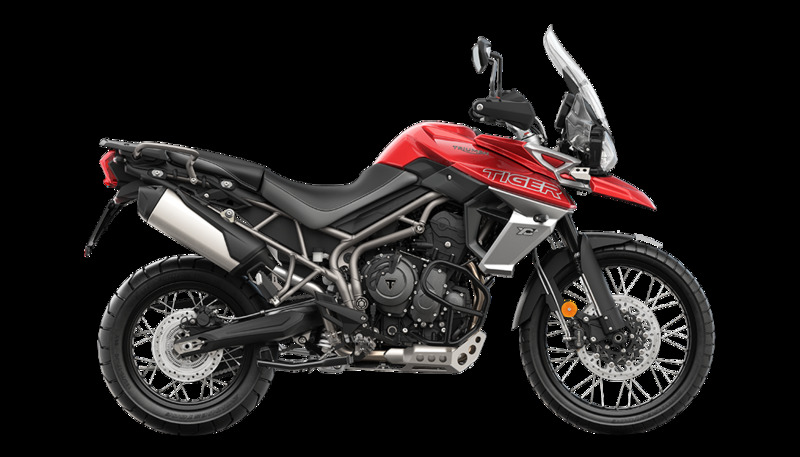 Add a 21" front wheel for true off-road performance, a high-level front mudguard, and new Tiger 800 contemporary style giving you everything you need for a thrilling all-road experience. The fully-loaded XCA model is ready to take on any challenge with six riding modes ('Rain', 'Road', 'Off-Road', 'Sport', 'Rider programmable' plus the new dedicated 'Off-Road Pro') for all types of riding environment. The XCA features a more off-road focussed set-up inspiring confidence and control with a 21" front wheel and Bridgestone Battlewing tyres . For even more capability, there is now a handbook approved Pirelli's Scorpion rally tyre for both Triumph Tiger 800 XC models. The Tiger 800 XCA features an adjustable '2 position' seat mechanism allowing the rider to lower seat height by 20mm from 860mm to 840mm to suit their individual riding style and preferred position.